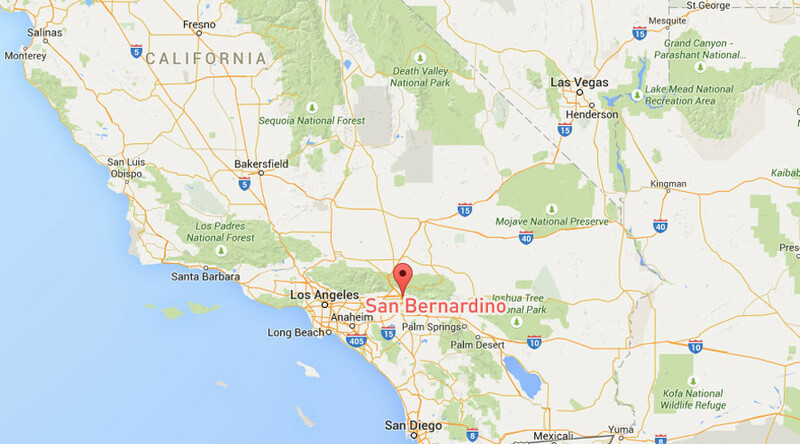 A rapidly growing 3,500-acre brush fire near San Bernardino, California has blocked a freeway and set multiple cars on fire. Five homes have been burned and 50 are in danger, fire officials said. A US Forest Service official told KLTA that two minor injuries have been reported. The fire originally grew from a small brush fire into one that engulfed a section of Interstate 15 in Cajon Pass. Multiple cars could be seen burning. The fire department issued mandatory evacuation orders in Baldy Mesa: east of Sheep Creek Road, south of Phelan Road, and west of Route 395 and Interstate 15. Some 70-80 vehicles were abandoned on the freeway, fire officials said. Almost two-dozen fire engines have been dispatched to combat the flames, as well as three helicopters, two crews and one air attack plane, according to data supplied by the National Wildfire Coordinating Group. Local media caught officials dumping water onto vehicles from the air. The fire department warned commuters not to leave their cars since falling water could cause serious injury. Additionally, fire officials said five homes have been burned and another 50 are in immediate danger. 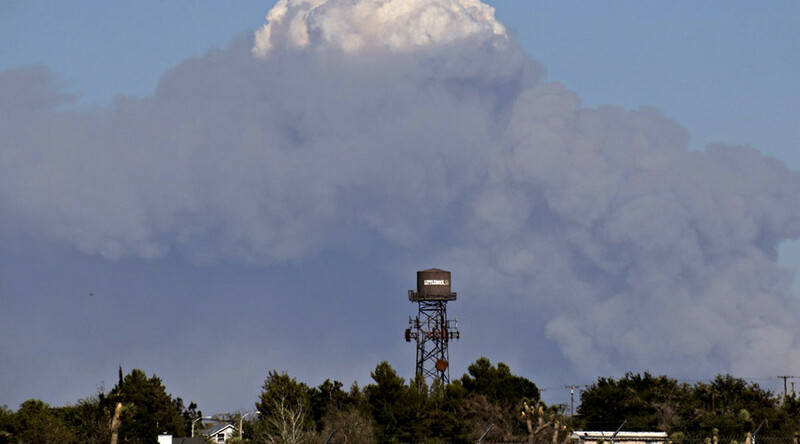 A new, smaller blaze, which was dubbed the ‘pine fire,’ broke out later on Friday near Wrightwood, California. The fire spread from 25 to 100 acres in just minutes according to the San Bernardino County Fire Department official Twitter feed. Ninety Girl Scouts had to be taken to safety from a campground in the area, according to the Los Angeles County Sheriff’s Department. The evacuation of up to 300 other people from Table Mountain and Lion’s campgrounds are under way.